Are You Looking for a Farmington Roofing Contractor? When you find yourself in need of a Farmington roofing contractor, will you know who to call on? Too many homeowners neglect to do their research and end up with a less than reputable roofing contractor. At the very least, make it a point to check the credentials of anyone you choose to work on the most important part of your home. Smart homeowners know that the name to call on is Brian O'Donnell Quality Home Improvements and has been for almost four decades. Having started in 1978, we have been providing the level of quality workmanship that homeowners can appreciate. This is because we focus on being able to enhance the performance and extend the lifespan of your roofing system. The average asphalt shingle rooftop should last for about 20 years. Yet it requires maintenance along the way to make that possible. Too many homeowners skip the roof inspections and repairs and then seem surprised when it doesn't last as long as it should. Leak Diagnosis & Repair – Not every leak is easy to spot so we can get to the root and put an end to it. Roof Inspections – You should have an inspection carried out every year and following any severe weather related events. Storm Damage Repair – We not only fix the problems causes by storms, we help with the insurance which can be the biggest challenge of all. Roof Replacement – When repairs will no longer do, the time has arrived for replacement. You can feel good about working with us because of the stance our owner and founder takes on customer care. Brian firmly believes in making sure that every customer is 100% satisfied with the work, once it has been completed. So don't take chances when it comes to the level of care that goes into your roofing. Another thing that sets us a part from the competition is that we actually include you in the decision making. This may sound obvious, but you will be surprised to discover that many so-called professional roofers in Farmington, CT take upon themselves to push the homeowner into certain choices because they know best. 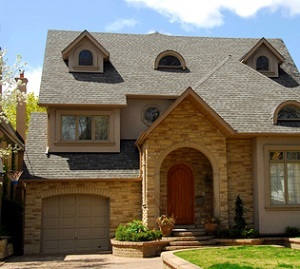 Unfortunately, this often ends up being the more costly roofing services so you feel as though you have been swindled. We let you know the assessment of your situation and then offer you your options. We can even suggest what the best path to take would be. But ultimately, this decision is yours. Don't get bullied into making choices that you don't feel good about; let us provide you with the data you need to make the best decision on your own. 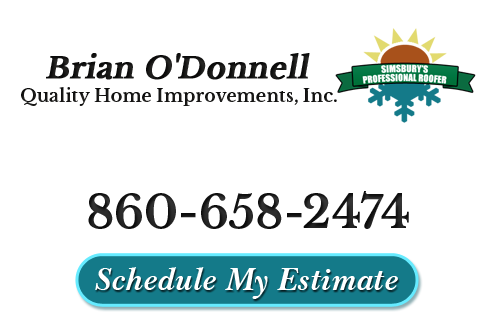 At Brian O'Donnell Quality Home Improvements is also the only name that you need to know for services related to skylights in Farmington, CT, too. We can take care of everything from installation and repairs to replacement or removal completely. The important thing is to know that the products we use are known for no leaks. If you are ready to get started with your roofing or skylight service needs, get in touch with us. We look forward to working with you and providing you with the services that will help improve your home. Get in touch with us today to find out more about what we can do for you. "Brian, thanks for the follow up. I’m glad you came on Saturday because it rained like heck on Sunday. My hats off to you and Lorrie for running a first rate operation! I was very happy with the service both of you provided so I will recommend your business to friends and neighbors." "Your crew has been great! Your company is a class act!" If you are looking for a professional Farmington roofing contractor then please call 860-658-2474 or complete our online request form.